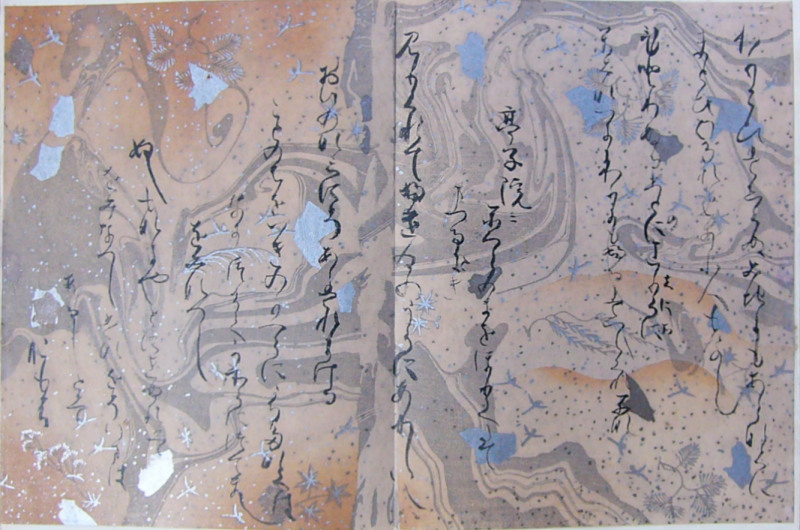 Two pages of waka poems by Ōshikōchi Mitsune (859?-925?) 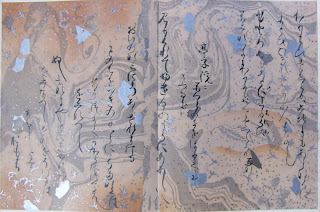 on suminagashi paper. From a copy of the Sanjurokunin Kashu or "Thirty-Six Immortal Poets"
Welcome Elsje! I'm pleased you are again between us! This pic of the document is really a wonderful art!